There has been a lot of hype surrounding this installment of the MCU since it was first announced a few years ago. I, myself, was quite excited. Now, I really don’t know much about the comic books, nor am I remotely familiar with Doctor Strange, the character. Films that rely so heavily on CGI are meant to be seen on the big screen, so that the audience are so mesmerized with the stunning visual effects that they don’t even care that the film lacks a compelling story or strong characters. Normally, I am easily tricked by this, but not even Doctor Strange‘s Oscar-worthy effects could distract me from its lacking in both story and character. We’re meant to feel sympathy for Dr. Strange when he gets into a terrible car accident, rendering his hands and thereby ending his career as the world’s foremost neurosurgeon. He even cries, “You’ve ruined me!” after they put metal rods in his hands and fingers. But I didn’t feel the slightest bit of sympathy for him, given that the grisly car accident was 100% his fault. This is why you don’t drive 150mph down a winding road, and then look down at your iPad while passing in the oncoming lane. You ruined you, Stephen! Then follows a montage of consultations and physical therapy that not even the other doctors believe is real. “It could work,” she said skeptically, after looking at one of the other surgeons like she’d never even heard of Dr. Strange’s suggestion. But it clearly doesn’t work, because then he travels to Nepal, where he meets Mordo and the Ancient One and learns magic! Wooo!!! 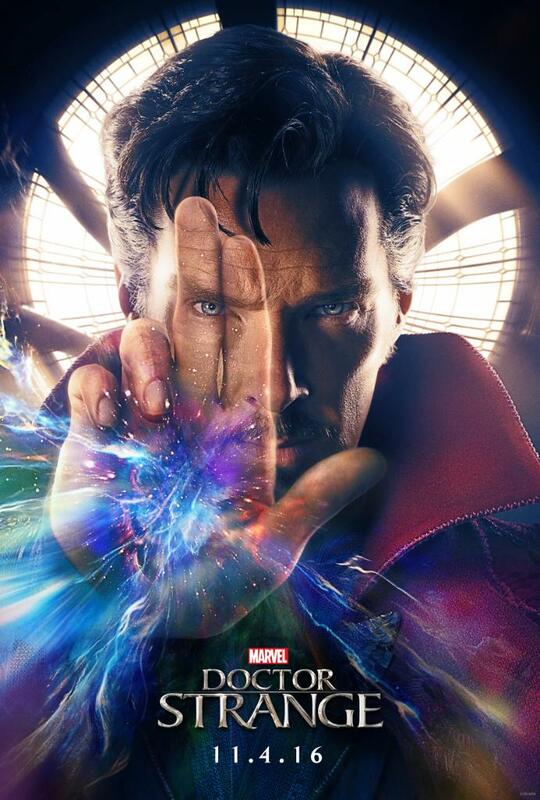 Over the next hour and a half, Strange stagnates as a character and learns nothing except how to manipulate time and lock the useless, yet omnipotent, villain in an eternal time loop, in what was probably the most anticlimactic showdowns in cinematic history. This is the problem with bringing an omnipotent and immortal being into multiverse: if they’re a hero, there’s no threat to their existence that will actually be believable; and when they’re the villain there’s no believable way to defeat them. So every possibility, to me, feels laughably contrived. Overall, I did like Doctor Strange, but I did not love it like I do other Marvel movies. Visually, however, I absolutely loved it. I give it a 7/10. – Best Achievement in Visual Effects: The effects weren’t necessarily anything new, but they were bigger and better than what we’re used to. So unless anything is released in the coming months that’s unlike anything we’ve ever seen, I predict that Doctor Strange will find Oscar gold in this award. – Best Achievement in Production Design: This may be a bit of a stretch, given the history of films that usually win in this category. However, I don’t think it’s too far-fetched to say that, at the very least, it could receive a nomination for this category. – Best Achievement in Sound Effects & Sound Mixing: I still don’t understand why there are two separate awards for sound, when 90% of the time, it’s all the same films getting nominated for both. And the other 10% of the time, I’m convinced is only different because the Academy wants to prove that they really are different. But I digress, I don’t necessarily think it could win either of these, but I think it could easily be nominated for either if not both. – Best Achievement in Cinematography: I’m too lazy to look this up, but I don’t think Marvel movies fare very well in this category at the Oscars, but if any of them can achieve it, I believe it would be Doctor Strange. But again, I don’t think it will win.